Joints are places where two bones meet. These bones are held at right place by ligaments which maintain joint alignment. Muscles attached to bones through tendons contract and relax to move the joints. The ends of bones are covered with cartilages, which are hard and slippery tissues allowing smooth swivelling of bones over each other for painless joint movement. These cartilages are submersed in synovial fluid which provides nutrition and keep them flexible and strong. This entire mechanism and organs need to remain strong and trouble-free in order to keep joints painless, strong and healthy. Rumacure herbal joint support supplements have been designed to provide just that to men and women of all ages. There are many stressors which can affect joint health by deteriorating strength of organs. 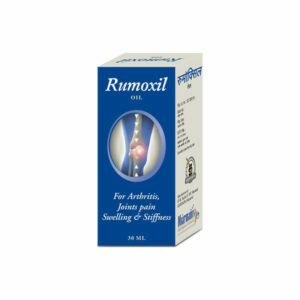 Rumacure herbal joint support supplements nullify ill-effects of these stressors keep joints healthy. These herbal supplements for joint health not only protect joints but repair damages caused to them and improve their health and performance. Rumacure herbal joint support supplements are effective even against progressive disorders like arthritis and protect joints from side effects of bone disorders like osteoporosis. These support bones, muscles, ligaments and improve cartilage strength to prevent pain and stiff due to arthritis or other disorders. These possess pain relieving herbs and anti-inflammatory ingredients which allow joint movement and keep a person mobile. Some of the herbs promote faster repair of damaged cartilages which not only improve joint movement but also increase range of motion and its weight and pressure bearing capacity. Even elderly people suffering with joint stiffness due to weaknesses gain immense relief and smooth joint movement. People leading strenuous lifestyle, suffering with health problems or other issues also stay active and agile by keeping their bones and joint healthy. Rumacure capsules are natural supplements for stronger bones and joints which work for men and women alike and handle all the possible causes of joint stiffness and pain during movement. Curb joint pain, inflammation and immobility. Improve bone density and flexibility by promoting bone tissue generation. 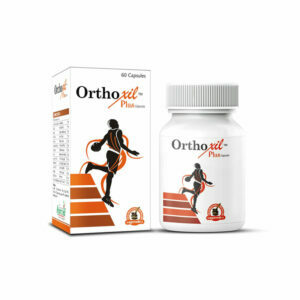 Provide joint stability, healthy cartilages and strong ligaments. Maintain joint endurance higher and cure joint lethargy, weakness and stiffness. Increase range of joint motion and its strength. Effective in handling all forms of arthritis. Heal injuries and trauma and repair damages caused by these. Work for elderly people and keep them active and agile. These are simple to use and do not require any complicated method. Consume one or two pills every day after breakfast and dinner and maintain regularity. Eat nutritious diet and lead active lifestyle. 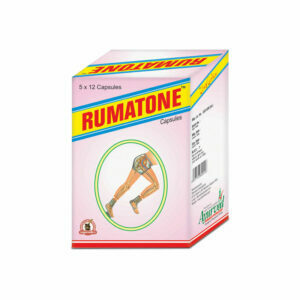 Rumacure capsules are best joint support supplements. I am very happy to feel relieved from joint stiffness and pain. I’ve been using Rumacure capsules for a few months. It helps relieve arthritis pain. In my opinion, it is a wonderful product. Seems to reduce swelling somewhat. Used it mainly to alleviate arthritis pain. It helps a lot. I ordered this product which was suggested by my friend, I see positive results after using these herbal pills. Would buy again!